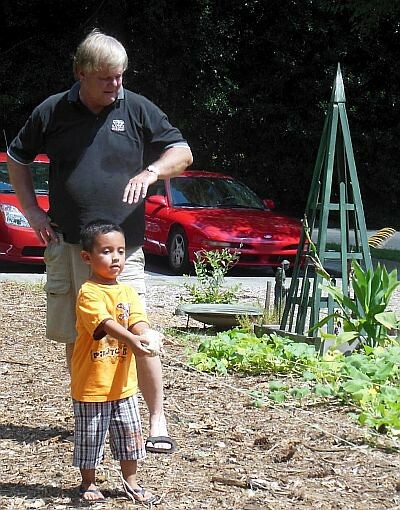 Heneghan’s Dunwoody Blog: Hallelujah Bob Lundsten - you've done your best, now rest in peace. Hallelujah Bob Lundsten - you've done your best, now rest in peace. Bob Lundsten's funeral will be next Thursday, Jan. 24 at 10:30 AM at All Saints Catholic Church in Dunwoody followed by a reception at the Dunwoody Country Club at Noon. The Dunwoody community was shocked to learn of the passing of an icon of the local political landscape, Mr. Bob Lundsten. My prayers go out to the family as the world and this community is a lesser place without him. I have read many touching tributes to Bob from people who knew him much better than I and as I can not top their sentiments, therefore I have taken the liberty to post a few snipits from the man himself from his previously published blog titled "Dunwoody Farmer Bob". From his blog headline, this how he saw himself. From a NJ kid, to sales executive. Homeowners activist, to Chief of Staff for DeKalb County Commission District 1. With a new life direction, I am trying to help as many people as I can through building community, community gardens, feeding the hungry and cutting through the red tape and insanity of local and county governments. Maybe even an occasional commentary now and then. Bob loved his family and here is a quote on his parenting philosophy. OK so it is 22 degrees outside, the coldest day of the year I think. I am driving my daughter’s Camary (actually my mother’s 2002 Camary) with a driver’s window that does not stay up. It broke under my watch meaning I will pay to get it fixed. The car was under my control because I volunteered to have her bumper replaced after she had a slight accident. However, since I was driving when the window stopped working, I am required to get it fixed for her. It is the law of parenting. Bob almost lost his wife Kathy to a heart attack so he went out of his way to save countless others by making sure AED's were in every Dunwoody Police Car. Bob wasn't afraid of trying something new, here is quote on him being a blogger. I do not type very well, fail to proof read and use CAPS way too often. 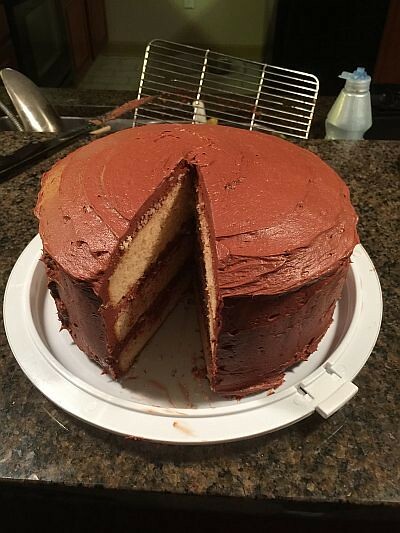 Here is the cake he baked from scratch because he had never done that. Ok, it was a Sunday and there was no football on in the afternoon. I saw the Finest Hours on Saturday so I did not feel like going back to another movie. All the dogs were fed and sleeping and grocery shopping was done for the week. 1 PM on a Sunday and nothing to do. Then it hit me, I am going to bake cake from scratch. Yessiree no boxed cake for me today. This was going to be my first venture in to scratch baking. Bob had strong political leanings and wasn't afraid to let you know where he stood. Below is a quote from Bob that still rings true today. I mourn the loss of political parties that have lost the ability to govern effectively and employ a scorched earth policy that at the end of the day will leave us a weaker nation both internally and across the world. Anger is not an agenda nor is it the foundation for a strong national policy. Bob loved Rutgers Football and with the team going 1 - 12 in the Big 10 this year you could say he always rooted for the underdog. 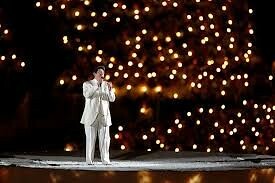 That being said, Alabama Crimson Tide was his second love. I walked the garden yesterday and again was saddened by the waste of the tomatoes, cucumbers and peppers that were left to rot on the vine. We are all so busy I guess we forget that there is a need for this food. This weekend I finished up the first half of the new Food Pantry Beds at the Dunwoody Community Garden. We added a 12’x4’ bed along the front perimeter fence and 5 2’x8’ beds from the corner of the garden to about 6 feet from the water pipe. The total new square footage available for the food pantry is over 130sq’. With conservative estimate of2.5 # of food per square foot, that is over 300 pounds for the Food Pantry ant St. Pats. The exact same configuration is already built and waiting to be installed at the back corner. In total that is over 600 pounds of fresh vegetables from space that would have be left unused. Soon after that the Fugees needed a garden so Bob raised money via social media and built it. This little boy was hell bent on making sure he had a hand in the creation of the new garden rows. He grabbed the “measurer” and helped us lay out the rows. He grabbed wood stakes so that we could mark the beds (2 stakes at a time, as he was 4 years old and his hands are not that big). Finally he grabbed the twine and started to unravel the ball, one slow turn at a time. What could have been a ten minute project turned into a forty five minute miracle. As slow as he was, he was determined to help. You could tell that he wanted to be a part of this garden. For him I have plenty of time. 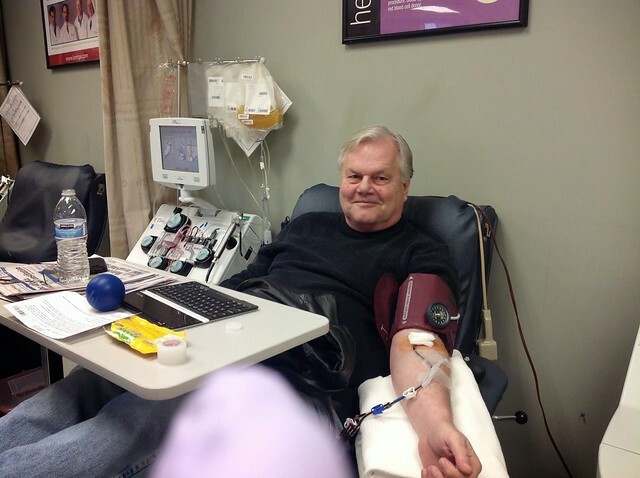 Bob donated platelets 24 times in 12 months and challenged us to do the same, to try it even once. The song Hallelujah is a classic and one that I carry with me all the time. It sticks in my head, makes me think, makes me emotional regardless of where I am. The final verse that was in the original Cohen release, but often left off during performances, brings it all home to me. Great post! We are all going to miss a guy who was truly the fabric of this community. through numerous ups and downs, challenges and tribulations that would defeat a lesser man, and moments of great joy ... Bob always stood tall. his was a life well lived. God Speed my friend. 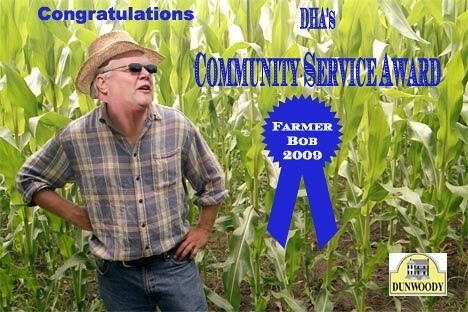 We are so sad to learn of Bob's death. He was instrumental in creating our community of Dunwoody. Bob was a wonderful next door neighbor for several years and a great person. We will miss him.